According to a report by the Institute and Faculty of Actuaries (IFoA), Liverpool has a greater percentage of third party personal injury claims as a result of road traffic accidents than anywhere else in the UK. The report found that 55% of road traffic accidents in Liverpool involved people then making third party personal injury claims which is considerably higher than the national average of 30%. Liverpool has more third party personal injury claims following road traffic accidents than anywhere else in the UK. The IFoA, in compiling the report, looked at data for 2014 provided by 18 of the top 20 motor insurance companies providers. It found that the number of third party personal injury claims following a road accident increased in the UK by 1.5% in 2014. It will not come as a surprise to read that the number and cost of payouts in respect of third party personal injury claims involving road accidents can make a difference to the cost of car insurance. Insurers will no doubt look at such data and could increase a number of their customers’ car insurance premiums as a result of this and other factors. 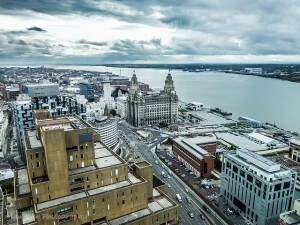 Insurers will probably look at places in the UK that have a high percentage of such claims and residents living in the likes of Liverpool may see their premiums for motor insurance increase perhaps more than other locations where there has not been such a high percentage of third party personal injury claims. When the LASPO regulations came into force back in 2013, there was a reduction in the numbers and amounts being claimed in respect of third party personal injuries and third party damages. However, claims now appear to be on the increase. One way of possibly avoiding an increase in your car insurance premium when it is due for renewal is to shop around to see if you can obtain a better deal elsewhere from another provider. There are a number of ways that you can do this such as by using a price comparison website that provides access to many providers of motor insurance. ← Would You Find A Dashcam Useful?